Protect your boat the smart way with Rush-Co Marine Products. Boat lift manufacturers rely on Rush-Co Marine for the best canopy covers to put on their products, and you should, too. Our affordable replacement canopy covers feature the highest quality materials, exacting engineering to assure a perfect fit and an attractive appearance. 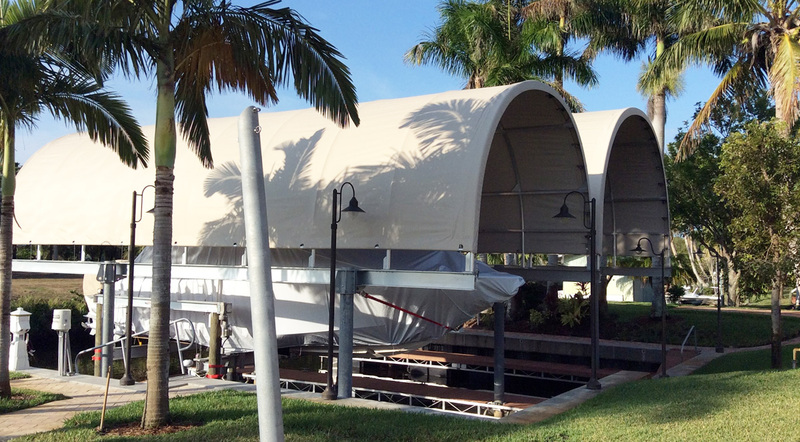 In addition to producing canopy covers for most boat lift makes and models, Rush-Co Marine also offers covers for custom made and do-it-yourself designed canopy frames. There’s no need to settle for poorly fitting or low quality covers because Rush-Co Marine provides the highest quality canopy covers at an amazingly affordable price. Feighner® Ridgeline® And many more! For more information or a free estimate call 1-866-776-5617 or email us.